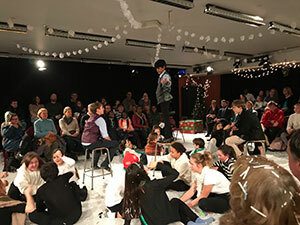 After many months of rehearsals, the Middle Year's production of "The Gift of the Magi" proved to be a wonderful experience for all who were involved in bringing this magical holiday tale to life on stage this December. 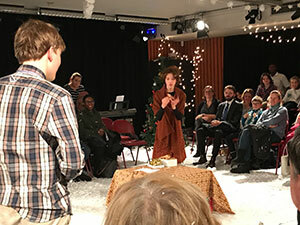 The Drama directing team was thrilled to collaborate with Miss Ogusu's music students who shared their voices with songs reflecting the spirit of season. Thank you to the Parents Association for providing tasty treats during rehearsals, as well as for the wonderful cake on our closing night, as the very talented cast and crew celebrated this successful theatrical event.